The Green Technologies Platform was established a year ago by a resolution of the Ministers of the Environment of the BRICS countries. It was designed as a permanent mechanism for cooperation of representatives of the state authorities, business, international and national financial structures, academic and public organizations of the BRICS countries and international organizations which see the development of the law in the sphere of the “green economy” and “green growth” as the best practice for implementation of “green technologies” at the national levels and within international formats, the official documents say. 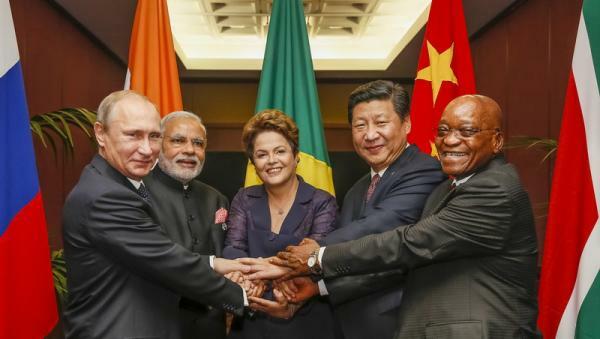 “Coordination of the ‘Strategy of Economic Cooperation of the BRICS Countries” Project is in the finalization and approval stage; its basic principles include the support of the sustainable development, inclusive growth, and the development of the “green economy.” This could be achieved only through following the principle of the three components: social and economic development, and environmental protection,’ the BRICS materials say. The bank has allotted its first credits in the amount of $811million in the following way: Brazil with receive $300 million, India will receive $250 million, the South Africa will receive $180 million. And China will receive $81 million. All these moneys are allotted for the projects in the sphere of renewable energy. Russia, a co-founder of the bank, will get nothing. And this is only for the reason that Russia has no more or less distinguished project worth financing in this sphere. First loans of the new bank are clear evidence to that. However, RF Minister of Finances Anton Siluanov, who is the Chair of the BRICS Bank CEOs Council, assured the mass media that a project for the development of small energy based on hydro generation already has high engineering design maturity. Representatives of the Russian Social and Ecological Union have not once stressed in their “Development of the Renewable Energy in Russian Regions: Obstacles and Points of Growth” and other position papers the perspectives of RESs progress and the necessity of support to energetic alternatives. Russia should stop losing its potential fritting away its resources on subsiding fossil fuels and start to provide real support to the national science and manufacturing for the development of renewable energy sciences and “green” projects.